What are the big differences between ext3 and ext4 from a generic user's perspective? I heard that sticking with ext3 is wiser. Is that true? EDIT: One thing I want to note is that I am a dual OS user (Windows & Ubuntu), so not being able to mount a drive (ext4) from Windows is a big negative for me. But, ext3 has this privilege. and also has some other information on ext4. I myself have had zero problems with ext4. If you need to share a partition with Windows you will need ext3. I myself have given up on Windows so I have everything set to ext4 and use a USB stick to tranfer data to a Windows machine (mainly at work). Then you can make the last one a shared partition for both OS's. The only reasons I can think of at the current time not to use ext4 are compatibility with older systems, and, last time I tried it, ext4 had problems with losing data when used on flash media (ie. Thumb drives et cetra.) That second one I haven't tested in about six months, so it may have been fixed. 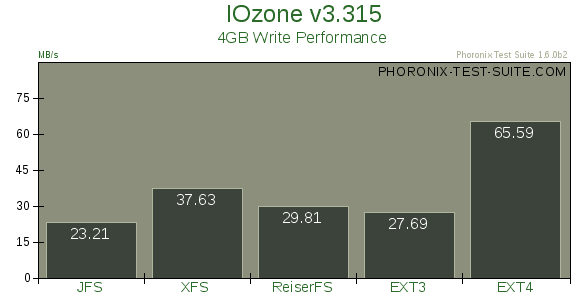 Otherwise, the performance and reliability are large improvements over ext3. Not the answer you're looking for? Browse other questions tagged ext4 ext3 or ask your own question. If I change my home from ext3 to ext4 when installing will my data be lost? I have replaced the harddisk of my laptop . I need to get data from ext3 partitions of old harddisk. What is the best freeware app for Windows to mount EXT4 partitions (from a GPT 4TB Disk) as RW, safely without corrupting the EXT4 partition? How can I prevent Windows 10 from corrupting the ext4 superblock every time? Ubuntu Automount corrupts ext4 partitions of Android install?